Posted 11th November 2016 & filed under Ageing, Blog, Intergenerational Justice, Pensions. The UK’s state pension system seems to exist in an almost perpetual state of being reformed by one government after another. The latest major reform to the state pension – the launch of the so-called “new State Pension” – is currently under way, a major change which is designed to simplify the various different rates which existed under the previous system by giving everyone who meets the qualifying criteria a flat-rate of £155.65 per week. This reform has been the subject of a recent report by the National Audit Office (NAO) that raised some important questions about what the new state pension will mean for today’s workers. The NAO’s investigation was largely about trying to prove whether the implementation of the new State Pension would provide greater value for money to the public purse than would have been the case under the previous one. This meant that in addition to looking at the basic administration of the new scheme, the NAO also had to give some consideration to its wider impact on pension saving and government spending more generally. Just looking at the administration of the new scheme, that aspect appears to have been largely successful. The NAO observed that the Department for Work and Pensions (DWP) managed to bring in the new scheme successfully one year ahead of its original schedule and at a cost that was within the project’s budget. However, this was partly achieved by postponing the introduction of a new digital service that would have offered people paying into the state pension a wider range of information about their contributions; this is not now expected to be implemented before April 2017, and DWP has reduced the expected operational savings stemming from its implementation from £341 million to £73 million. 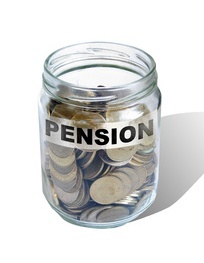 This statement raises a variety of important issues which relate to the new State Pension. As other analyses have shown, it is vital for today’s younger generation to begin saving towards their pensions from a younger age because the design of the scheme means that most of them will be worse-off over the longer term than they would have been under the previous state pension (the NAO points out that 73% of people reaching state pension age in 2030 will be better-off under the new system than they would have been under the one it replaced, whereas 77% of people who reach state pension age in 2060 – today’s twentysomethings – will be worse-off under the new system). The point that the NAO made about “wider pension reforms” is also notable. At the same time that the new system is being implemented, the Cridland Review of the state pension age is taking evidence on how rapidly the age of eligibility should be increased in the future, and various proposals for reforming tax relief on private pension saving have continued rumbling along in the background ahead of the Autumn Statement. Just in the past fortnight, the Work and Pensions select committee on intergenerational fairness has stridently recommended removing the state pension triple lock, and another leading think tank has suggested completely abolishing the state pension to replace it with a system based on ISA-style private saving. Pensions policy has many moving parts to it, and it seems contradictory to expect young savers to tie up their money for the long term when they can’t have any certainty that the same rules will still be in place when they eventually come to retire.